How many times have you been reading a great blog post or page and just knew that you HAD to share it with your followers because you knew how much they would love it or find it beneficial? So you scroll up to the top, scroll down to the bottom, look to the left, then the right, and realize that this page has no social sharing icons. No Tweetmeme, no Facebook Like – nothing. Or if they do have a button, it’s old and doesn’t work properly (like the Twitter buttons that just copies the link into the status box and nothing more). Now I know, you might feel like “well, no icons, buttons or widgets means they must not want or deserve to be shared.” But this isn’t about you – this is about your followers. Giving them great content makes you more valuable. Hence, you have to share it. This is where bookmarklets come in. They work on almost every browser – just drag them to your browser’s bookmark toolbar, and click on them every time you want to share a post on a specific network. The bookmarklets I use the most often include the following. 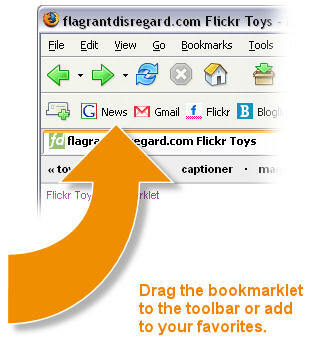 Just drag the bookmarlet link to your browser’s bookmark toolbar to start using them! Bit.ly‘s bookmarklet will take whatever page you are on and shorten the URL into a Bit.ly link and, if the page has a title, will bring that in as well. 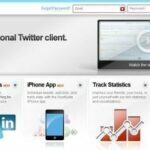 If you create a free Bit.ly account and connect it to your Twitter, you can tweet the page title & link directly from Bit.ly as well. Another way to share things on Twitter is using the official Twitter retweet bookmarklet. This one will capture the page title, shorten the page’s URL using Twitter’s official t.co shortener, and place them in your Twitter status box, ready to tweet. The Topsy bookmarklet takes you to the URL’s page on Topsy where you can retweet the URL as well as see the current tweet count for the page and who has recently tweeted it. Facebook offers a bookmarklet for the Facebook Share feature. This will take you to Facebook with the option to post the link to your wall with a thumbnail and your own comment – this is how I like to share links on Facebook as they get more attention that way instead of simply “liking” the page. The newest bookmarklet on the scene is the LinkedIn bookmarklet for those who like to share links for their connection’s LinkedIn activity stream. Be aware of what you share on LinkedIn though – it’s a professional network. Not the one you might want to send the latest SNL sketch to (unless you have that kind of network). Digg offers a bookmarklet that will let you view a URL’s page on Digg. It doesn’t submit it for you, but allows you to go to the pre-existing page if it has already been submitted. Otherwise, you will be taken to Digg and then have to submit it from there. Delicious offers a variety of bookmarklets – one to bookmark a page on Delicious, and another to view the page’s history on Delicious (ie. number of times bookmarked, if any). Do you regularly use bookmarklets for social sharing? Share your favorites in the comments!